For each item that we would like to purchase, there must be a way for us to return the purchase order if the item is not received. 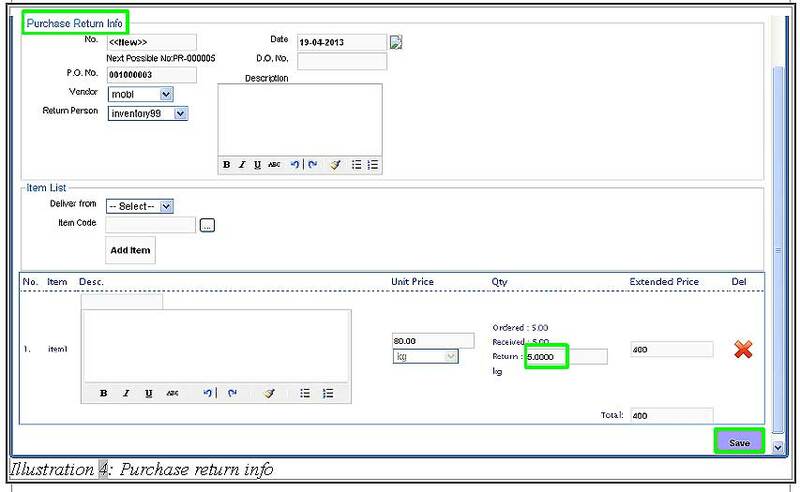 In BMO Online Inventory System, you are enable to return the purchase order. Below is a simple guide on how to return a purchase order. 1. 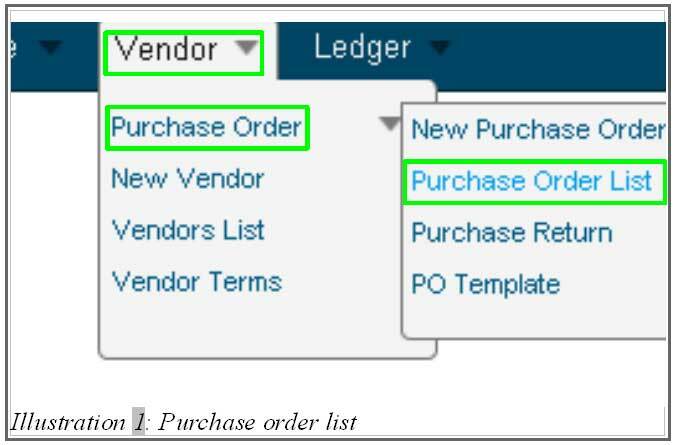 Go to Vendor > Purchase Order > Purchase Order List to view a list of purchase order. 2. In this Purchase Order List page, you are able to view a list of purchase that you have ordered. Under Purchase Order List, select a purchase order that you would like to return and click on action > Return to return the purchase order. 3. A confirmation message would appear to confirm with you on returning the purchase order. Click on OK if you have confirm to return that purchase order. 4. After clicking OK, you will be redirect to a page which requires you to fill in the purchase return information. If you would like to return only a partial item, enter the number of item that you would like to return by filling in the quantity under Qty column. Click on Save to return the purchase order. 5. A notification message will appear to inform you that the item have been successfully listed in the Purchase Return List. 6. Very quickly, you will be redirected to a page where the information that has been saved earlier is added and listed in Purchase Return List.